Unfortunately, pedestrian accidents have risen in number over the past few years. In 2013, in the state of Hawai’i alone, 4,735 fatalities occurred as a result of pedestrian accidents. 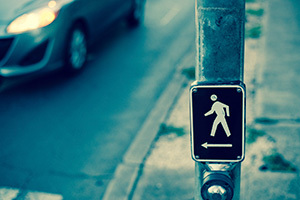 Each year, many more are seriously injured in pedestrian accidents. Though the National Highway Traffic Safety Administration continually works to raise awareness of pedestrian safety, accidents do occur. Most (70%) of these accidents occur at non-intersection roads, indicating the pedestrian was either crossing a road without a signal, or that the driver may have been speeding or otherwise driving recklessly. If you have been injured in a pedestrian accident, or have lost a loved one in a fatal pedestrian accident, contact an experienced personal injury lawyer to explore your options for receiving compensation. Adequate compensation can help you pay off your medical bills and get your life back on track. Hawai’i is one of the few remaining states that still abides by the “no-fault” system. This system requires both parties involved in the accident seek compensation through their own insurance carriers. In pedestrian accidents, this may mean the pedestrian has to use his or her own health insurance to cover the cost of medical expenses. Usually, claimants are not allowed to go outside of insurance to seek additional compensation, except in specific circumstances. For example, if the victim’s medical bills exceed the limits of the personal injury protection (PIP) coverage, or if the injuries result in permanent disfigurement or loss of body part or function, he or she may be eligible to seek additional compensation in a personal injury lawsuit. If an individual falls victim to a serious car accident, he or she may claim several types of damages. The damage types are divided into economic and non-economic, and they are defined as follows. Medical expenses are any medical bills incurred as a result of the injury. These can include current and ongoing treatment expenses, medication, physical therapy, and any other documented medical bills. Lost wages are awarded for any missed employment time due to the injury. Lost wages can be as a result of injury or treatment for the injury. In some cases, the plaintiff’s ability to work in the future may be affected, in which case he or she will receive compensation for future lost wages. Pain and Suffering is designed to compensate victims for any emotional or physical distress incurred as a result of the accident. This figure is calculated based on a “pain multiplier” – a number between 1.5 and 5. The total amount of economic damage is multiplied by this number to determine total pain and suffering costs to be awarded. Wrongful death claims may be filed by family members who have lost a loved one in an accident. In all states, spouses and parents are allowed to file wrongful death suits. In some states, children, siblings, and distant relatives may claim wrongful death. Loss of companionship provides compensation to claimants who have lost the ability to have a relationship, be it intimate or emotional, with the victim because of the accident. Punitive damages are intended to financially “punish” the defendant in cases of gross negligence. Hawai’i allows for punitive damages, but there is a cap on the compensation amount based on the severity of injury. If you have been injured in a pedestrian accident, contact Attorney Dennis W. Potts today at (808) 537-4575. Based in the heart of Honolulu, HI, he has over 40 years of trial experience in personal injury cases. He will represent your case effectively to get you the compensation you deserve.